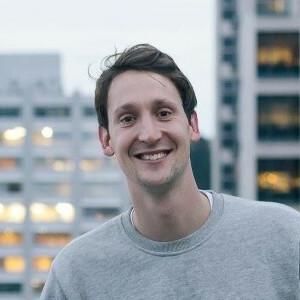 David is the co-founder and CEO of LearnCoach which provides learning support to secondary and tertiary students. As always stay chic out there! Mohammed Faisal is the founder and CEO of the Money Hub, a social enterprise that teaches financial literacy to teens and adults in disadvantaged neighborhoods to prevent future financial ailments and increase quality of life. Having grown up in NYC, he saw firsthand the dearth of basic financial literacy in his community and the impact that poor money management coupled with tight resources had on the people around him. So, Mohammed started the Money Hub and now works with many young high school students and dropouts to help empower them to take control of their finances and lives. On this podcast, we discuss messaging in music around financial literacy, the example that artists have on peoples lives, and the way that technology and social media have transformed the way that youth think about themselves and the possibilities before them, and how they share and tell the story of their own lives. If you enjoyed the podcast be sure to take a deeper look at the posts on our site sosmusicmedia.com and also consider subscribing to us on iTunes. To make sure that you are up to date on all things SOS Music be sure to follow us on Twitter, like us on Facebook, or subscribe to our newsletter.